Click here for latest quote. 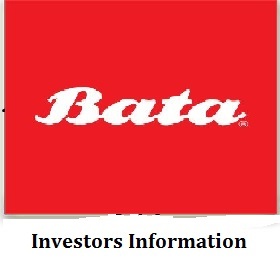 BATA INDIA LIMITED appointed M/S R&D Infotech Private Limited, 7A, BELTALA ROAD (NARESH MITRA SARANI), Kolkata - 700026 as theirREGISTRAR & TRANSFER AGENT with effect from 1st January 2007. Success so big, you can taste it. The world's greatest brands.Â Life's sweetest moments. Be a part of something special, and touch a couple billion lives. Development of software as per client specification â„¢, Island Explosionâ„¢, and Strawberry Slamâ„¢.